"Tough times don’t last; tough people do. As a serial entrepreneur, I have been working since the day I turned eighteen. I have faced more professional and personal challenges in my life than anyone else I know. But through it all I have constantly endeavored to push myself to face them head on and persevere, especially if it’s something that I believe in. My mantra to achieve my goals is hard work, grit and determination. No matter how challenging things may have gotten for me in other aspects of my life, I never lost sight of what I wanted to achieve professionally. I have never once shifted my focus from my work. Over the years I have faced skepticism, criticism and negativity perhaps. But today, I can afford to be pompous as I have earned the right through years of hard work. I have raised my daughter single handedly, and ensured that she gets the best possible education. One of the many things that experience and maturity have taught me is that there will always be that section of society who are envious of successful women, and more so of single ones. I think it stems from a secret desire to be ‘Me’! But on a serious note, while these things bothered me earlier, today I just don’t have the time or bandwidth to even get upset, my power of recuperation is amazing. But as a sentimental Bengali, I have to admit it still has the power to hurt a bit. However at the end of the day I can’t stop at every barking dog! I am the kind who if thrown to the wolves, will come back leading the pack! For me staying positive is imperative. Being fit emotionally is extremely important - it is something that I have achieved with age, maturity and experience. Honestly speaking I probably don’t do a very good job of staying physically fit, at least not in the traditional sense. I travel incessantly for my work, but whenever I am in town I try to get in a workout. I do TRX and Arun, my very patient trainer always tries and works around my crazy schedule. But fitness is not just about looking a certain way, it’s about how you feel. If you feel good, you look good! Try and work towards being fit for yourself, not for anybody else. A woman’s body should be her temple, strong and positive. Tahira Tara, my daughter is my inspiration and motivation. She has given me a purpose in life. I have always wanted her to have the best that life has to offer, and I work hard to ensure that. Motherhood brings with it many responsibilities, and it also brings with it a kind of hunger that requires us to stay focussed. I have had an adventurous life, full of ups and downs, and experiences that not many have had in a lifetime. My mistakes have taught me some amount of wisdom, I have found goodness and today I can appreciate what is true and genuine. I have little to regret and so much to thank God for. The person I am today is because of the life I have lived thus far. My advice to young women is really simple - embrace your womanhood. Women today have become women’s worst enemy. It is high time we work to empower our fellow women. We have the shakti to make or break a family, to bind and glue, to multi task as a daughter, a wife, a mother, a sister all at the same time, to work hard and put food on the table. And we need to harness this power to bring about a positive change in our environment. Be the change you seek." 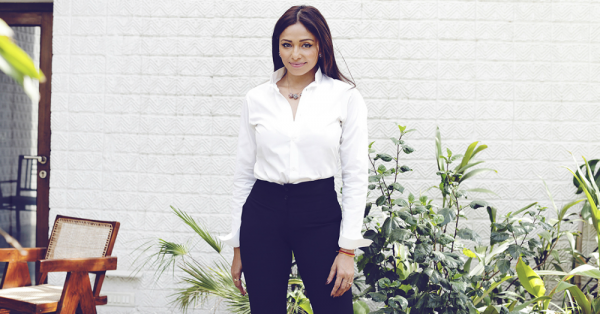 Kalyani Chawla is a serial entrepreneur. 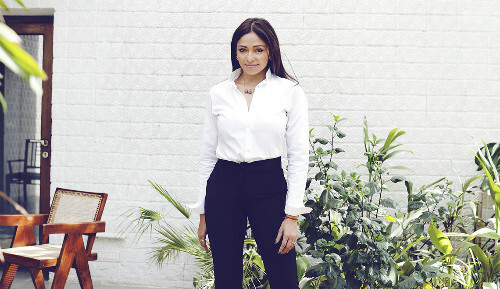 Currently Founder and CEO of Koi Communications which handles various brands including Dior. Chief Storyteller - Lulu And Sky, fashion e-commerce portal launching in November. Managing Director of Rezon, Luxury Silverware. * This post is in association with PUMA. To be a part of the DO YOU movement register here.